ALBALONGA PRO ROMA CALCIO A.S.D. SPES MONTESACRO ALMAS ROMA S.R.L. FUTBOLCLUB S.R.L. TOR SAPIENZA S.R.L. 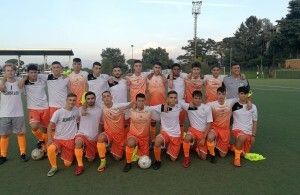 COLLEFERRO CALCIO PRO ROMA CALCIO A.S.D. SPORTING REAL POMEZIA D.A ALMAS ROMA S.R.L. TRASTEVERE CALCIO TOR SAPIENZA S.R.L. FUTBOLCLUB S.R.L. ALMAS ROMA S.R.L. NUOVA TOR TRE TESTE TOR SAPIENZA S.R.L. PRO ROMA CALCIO A.S.D. SAVIO S.R.L. TOR SAPIENZA S.R.L. PRO ROMA CALCIO A.S.D. VIS ARTENA ALMAS ROMA S.R.L. SPORTING REAL POMEZIA D.A PRO ROMA CALCIO A.S.D. TRASTEVERE CALCIO ALMAS ROMA S.R.L. 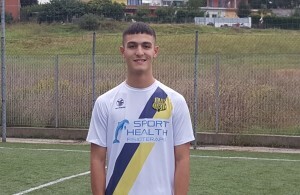 COLLEFERRO CALCIO TOR SAPIENZA S.R.L. PRO ROMA CALCIO A.S.D. FUTBOLCLUB S.R.L. TECCHIENA TECHNA ALMAS ROMA S.R.L. VIS ARTENA PRO ROMA CALCIO A.S.D. ALMAS ROMA S.R.L. SAVIO S.R.L. NUOVA TOR TRE TESTE ALMAS ROMA S.R.L. TECCHIENA TECHNA PRO ROMA CALCIO A.S.D. TOR SAPIENZA S.R.L. SAVIO S.R.L. TOR SAPIENZA S.R.L. ALMAS ROMA S.R.L. SPES MONTESACRO TOR SAPIENZA S.R.L. SPORTING REAL POMEZIA D.A SAVIO S.R.L.